Perfect location, super friendly host greeted us with some rakomelo. Nice comfortable beds. Lovely yard, where you can enjoy the quietness and have your breakfast or coffee. Great views from studio, comfortable beds, close walk to restaurants. Nicely decorated rooms. Attractive property. Close to port and cafes. Quiet area. Very friendly, helpful owners of a very clean property, with all neccesary facilities and set in gardens and fields with fantastic views of the bay - if in the right rooms - and within easy walking reach of the port of Katapolo. This property is highly recommended and a credit to the family that own it. L'albero di pesche nel giardino. Guardino curato. What makes this stay unique is the lovely family run business. This always gives it a warm and friendly touch. The gardens that surround the property are the best part as they give colour, shade and island smells. Our room was basic and extremely clean. Basic kitchenette for a light meal or breakfast, A few cute, resident cats that come and say hello whilst you are enjoying the breeze on the veranda. 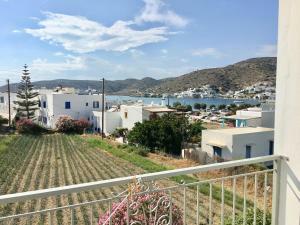 Located 5mins downhill to the main port of Katapola in the beautiful island of Amorgos. We have a good stay at the Pension Sofia. The apartment was clean, and very well located. 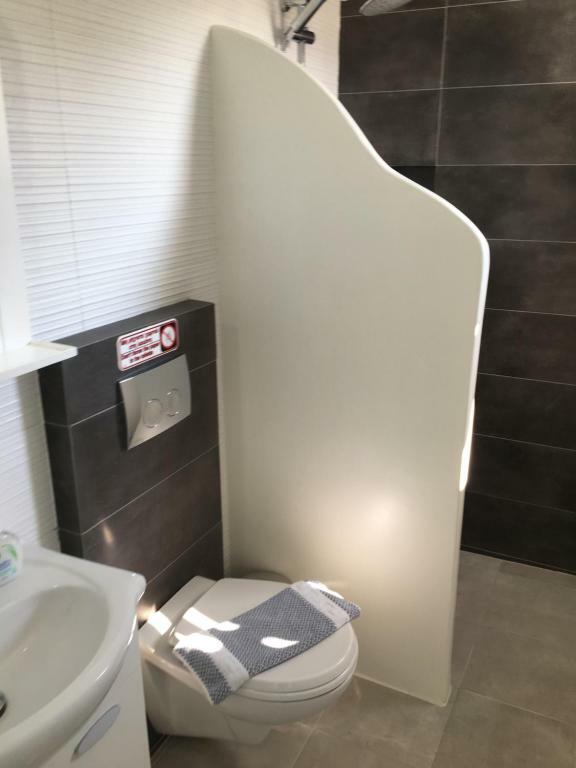 We also rented a car with Hermes rent (wich is affiliated with the Pension Sofia) and we have a good rate and no problems with the car, so we recommand it. Beautiful Pension in the centre of Katapola, in a quite place, really close to everything, the seaside and the Port. The apartment is cozy and clean, with everything you need. (Daily cleaning service). The garden is wonderful, there are small tables were you can sit to enjoy the view and relax. Great value for the money and the owners are kind and helpful, they give us advice for great restaurants and we rent a atv quad from their Rental service (Hermes), the quad was new and everything was perfect. 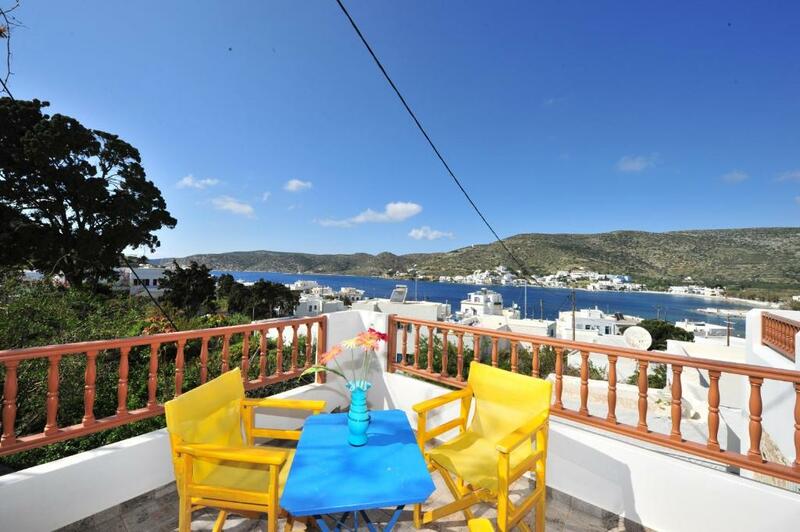 Lock in a great price for Pension Sofia Amorgos – rated 8.2 by recent guests! Located 1,000 feet away from the port of Katapola, Pension Sofia offers self-catering rooms with air conditioning. It is just 500 feet from the nearest beach and provides free Wi-Fi throughout the property. Sofia rooms and studios are bright and airy, while most offer direct access to the garden. They are equipped with a fridge, safe, TV and a private bathroom with shower. Some include a kitchenette. In the village of Katapola, guests can find taverns and seaside cafes. Chora, the capital of Amorgos, is less than a 10-minute drive away. The famous monastery of Panagia Chozoviotissa can be reached at 4.3 mi. Car hire service is provided and free public parking is available 650 feet away. When would you like to stay at Pension Sofia Amorgos? These studios offer sea or mountain views. This studio is on ground floor and offers access to the garden. This studio has a spacious sea-view balcony. It is located 656 feet from the main building. Two-bedroom apartment with a big kitchen, 2 bathrooms, seating and dining area. It opens out to a shared veranda. This apartment is located 656 feet from the main building. This room is on the grounds and offers village views. This room has a big balcony with views of the Aegean Sea. Ground floor studio equipped with air conditioning, a kitchenette with fridge, TV and a private bathroom with shower. 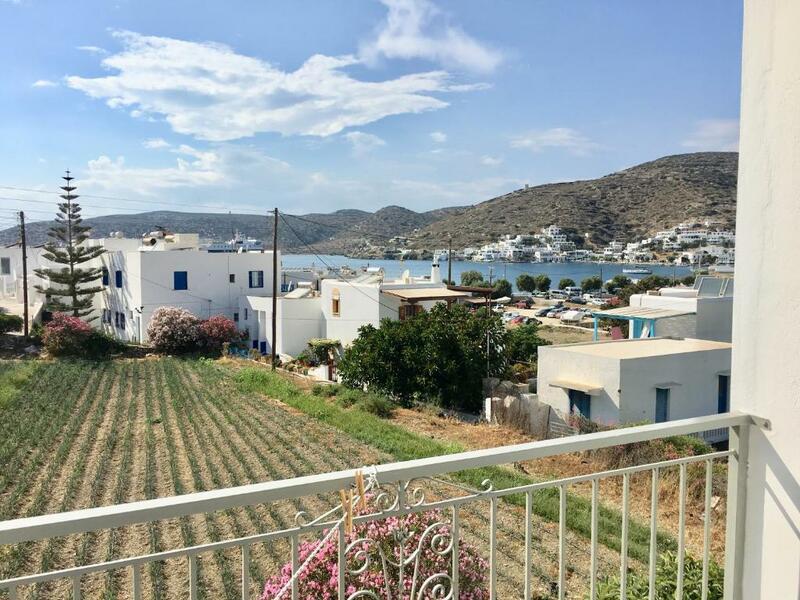 House Rules Pension Sofia Amorgos takes special requests – add in the next step! One child from 2 to 12 years is charged 10 % of the room stay per night and person in an extra bed. Pension Sofia Amorgos accepts these cards and reserves the right to temporarily hold an amount prior to arrival. Please note that Pension Sofia consists of 2 different buildings located 300 feet from each other. Great location near Ferry port. Nice hostess. Bathroom could be slightly cleaner, there were too much stuff in the room that made it difficult to move around when there are 2 people with 2 suitcases. There is nothing not to like but anyone who finds steps or reasonable inclines or a walk a problem, should be aware that the venue involves a short walk up a few steps and a gentle slope and upstairs studios involve a few steep steps. Our room had not any soundproof capability. We could hear the conversation of our neighbors. There was also a problem with the bathroom of the appartment, so we were unable to take a bath. The owner agreed to reduce the price from 74 to 64 per night. La doccia. There is a lot to improve in the shower. Shuttleservice - as offered in description - only from port in Katapola, not from Aegiali. But manager offered free usage of a rental car to get from Aegiali to Katapola. Comfortable with a nice view and great location.